What is Perlite? What is its use in the garden? Have you ever used a bag of commercial potting soil? If so, you may have noticed small white objects that look like styrofoam balls in the mix. These little balls are a type of mineral product called perlite. Every ingredient in those mixes have a beneficial effect on plants, and perlite is no exception. 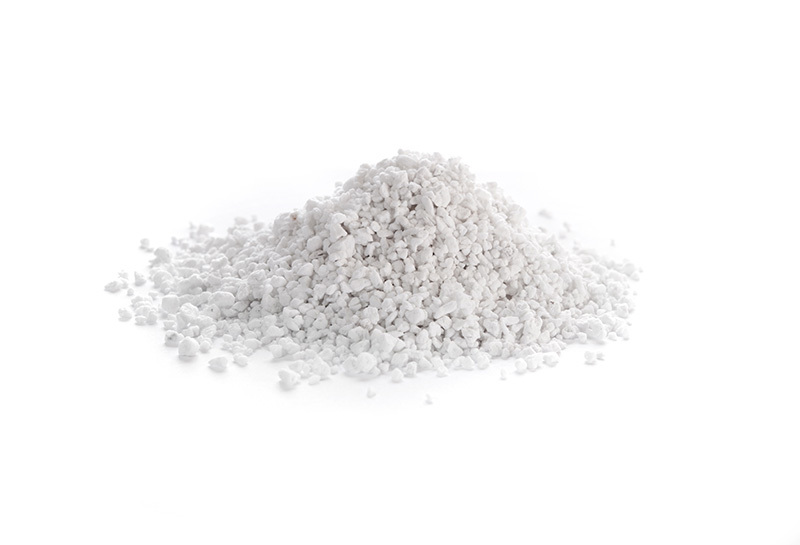 If you want to become good at gardening or hydroponics, perlite can be your best friend. Seasoned gardeners swear by this mineral, and use it extensively in their horticultural endeavors. What is so special about these queer, innocuous-looking balls? Learn more in our in-depth guide to all things perlite. Perlite is the name of a naturally occurring mineral. In nature, it exists as a type of volcanic glass, created when the volcanic obsidian glass gets saturated with water over a long time. And since fertile volcanic areas have been settled since biblical times (due to fertile soils), humans have been aware of perlite at least since Third Century BC. Natural perlite dark black or grey colored amorphous glass. Amorphous means that it doesn't have any definite shape or structure, unlike a crystal. Since it is a naturally occurring mined mineral, perlite is a nonrenewable resource. The major producers are Greece, US, Turkey, and Japan. It is a relatively cheap mineral and is often used for industrial purposes like construction and in the manufacture of plasters, masonry, and ceiling tiles. But of special interest to us here is the use of perlite in gardening and hydroponics. And for that, the hard mineral glass needs to be processed into the light, white colored, plasticky stuff that resembles styrofoam, confusing many a rookie gardener about its origin and purpose! Lets’ look in detail at the processes that transform perlite glass into “perlite foam” in the next section. The processed perlite that we see in gardening mixes is basically “volcanic popcorn.” That is a very literal description. Since perlite glass is rich in water, it pops when heated to very high temperatures, exactly like popcorn. So the processed perlite balls are created by crushing natural perlite glass and then baking them in industrial ovens. To complete the transformation, crushed perlite needs to be heated quickly to 900 degrees Celsius (around 1650 degrees Fahrenheit). The mineral structure is softened by the heat, allowing the water trapped inside to expand into steam in a bid to escape. 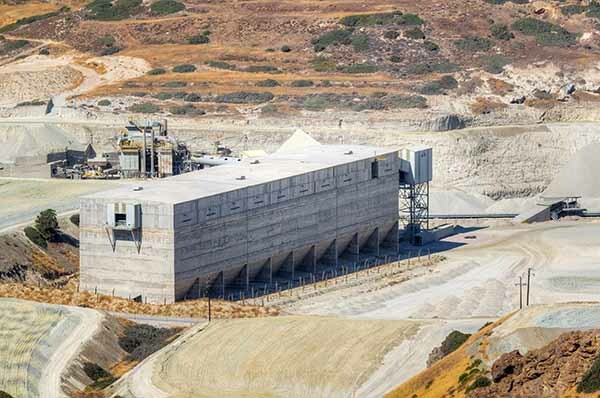 The process leads to expansion of the crushed pieces of the mineral. It is not usual for perlite pieces to expand between 7 and 16 times their original size and volume, creating those lightweight faux-styrofoam balls. The foamy balls have a lot of porous openings inside them and are clean, sterile and generally stable. It can hold its shape with ease in the soil without crumbling. Perlite is physically stable and retains its shape even when pressed into the soil. All plant cells need oxygen, even those that are underground. The green parts up top are capable of creating it during photosynthesis. But down below, the root system has to absorb it from the soil. Aerating the soil allows little pockets of air to remain, which helps with the growth of strong root systems. Without water, no living thing can survive. But when it comes to plants, excess water in the soil can lead to drowning. In this situation, the root system is starved of oxygen, causing eventual death. Proper drainage is crucial to allow empty air spaces to remain in the soil. Adding perlite to the soil improves its drainage capabilities, as it has excellent filtering and water draining capabilities. The presence of all those pores allows most of the excess water to drain off. And those air pockets also mean that perlite is great for root systems as well. When the soil gets packed down, the air pockets are lost. But since perlite is a harder mineral, it retains its shape, keeping those air pockets around for the roots. 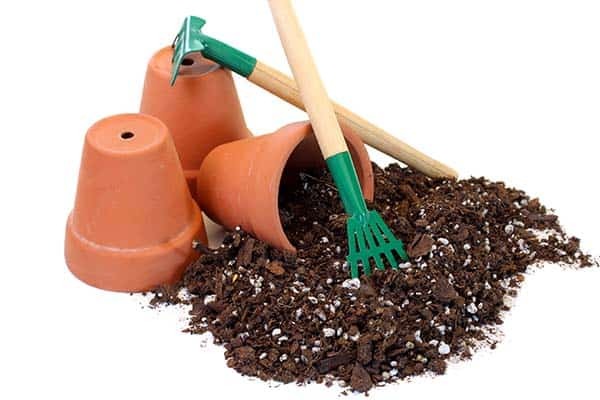 In Soil Mixes: you can make your own homemade soil mixes using a combination of perlite, loam, and peat moss in equal measures. In pots, it keeps everything loose, aerated and well draining. On the surface: perlite can be scattered on the surface of the soil as well, where it acts as a wicking agent. It will gradually work down into the soil, improving drainage. For root cuttings: it encourages root growth much better than just plain water. You can place your starting seeds or cuttings in an air-filled Ziploc bag contained moistened perlite for several weeks. Propagation of plant cuttings: Perlite stimulates root growth, and prevents drowning by helping drain excess water away from the cuttings. It can be used with rooting compounds. Standalone Growing Media: Perlite is a decent option in some instances as a hydroponic medium. But it is not suitable for high water settings, like deep water culture, or ebb and flow systems. In mixture with other growing media. Perlite is commonly mixed with vermiculite in equal amounts (50-50). 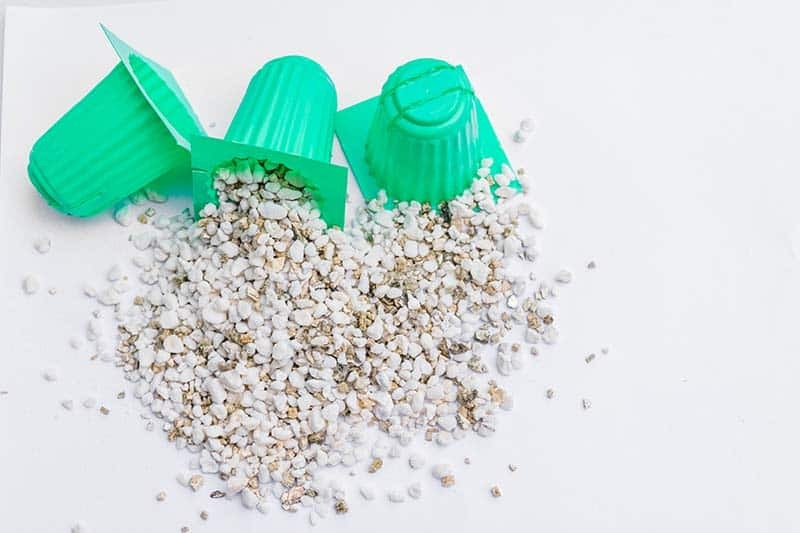 This greatly solves the water-retaining issue of Perlite while improving the water-holding capacity of vermiculite, making it able to use in the water-rich systems stated above. Are there different types of Perlite? This has the highest porosity and draining capabilities. It is best suited for succulent plants and orchids. It is also least affected by winds! But it doesn't work its way up to the topsoil very easily. This straddles the middle ground regarding aeration and draining. It is best suited for potted seeds and seedlings. This is the lightest grade, best suited for starting seeds and root cuttings. Fine particles of perlite can also be scattered lightly on top of the soil in your gardens and lawns. From a chemistry perspective, organic compounds are those that contain carbon. Perlite does not contain carbon, so it is an inorganic mineral. But in the context of growing stuff, like organic farming, the meaning or the word “organic” is different. It means something that is naturally extracted from the earth and doesn't undergo significant chemical processing. Perlite is a mined mineral that undergoes some physical processing. It is actually allowed by the National Organic Standards Board for use in certified organic agriculture. So if you are planning to do some organic farming or horticulture, yes, perlite is a safe “organic” additive. Perlite is directly comparable to another mineral additive called Vermiculite. Both have overlapping functions and help with soil aeration and seed starting. 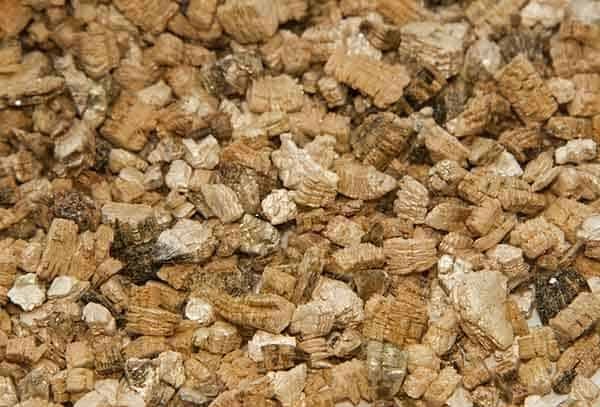 Vermiculite also comes from some kind of rocks and expands in the same popcorn fashion like perlite. But vermiculite has a stronger expansion potential. 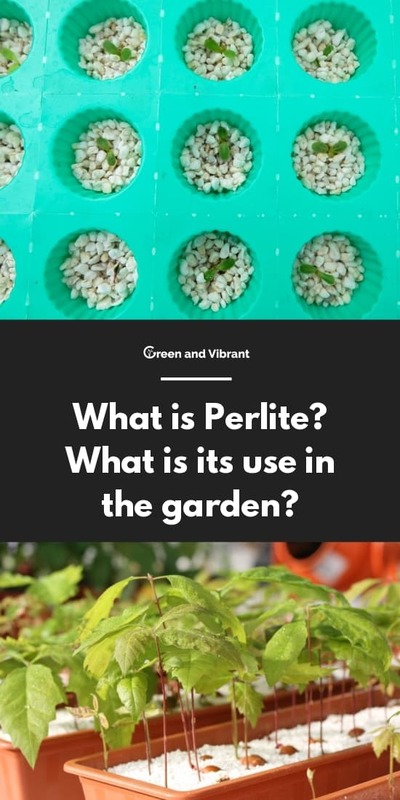 Perlite has more air porosity than vermiculite, and better drainage effects as well. Vermiculite, on the other hand, retains water much better than perlite. Perlite is better suited for succulent plants, while vermiculite is better for tropical plants that need more moisture retained in the soil. They both have their uses, and many experts tend to combine these two minerals in their soil mixes. Diatomaceous earth is also a mineral additive, available in a fine powder form. It is commonly referred to as DE. DE is used more for pest control than anything else in gardening. It also has high water retention abilities. But since it is a powder, it doesn't help much with aeration. DE is not really a contender against perlite in any conceivable way. Both additives can be used together, for their respective benefits to the soil. Where can you buy Perlite? You can get perlite in significant amounts and many varieties at Home Depot, Lowes, your local nurseries, any hydro shops. Or order online at Amazon, eBay. I often buy in bulk to save it for later uses since Perlite is an effective, safe growing medium that can last long. I always choose a 100% made perlite package and mix it later with soil or other growing media. But that's my liking you can select perlite as a mix of soil, soilless growing media, or fertilizer. Just pay attention to the product's component to know that. Rookie gardeners tend to forget the importance of oxygen supply to the roots of growing plants and seedlings. Perlite is a key additive that can really improve the growth of seeds, saplings, rootings, and adult plants. It can be used as a standalone growth medium, or with other additives. What is Peat Moss? What is it used for?